The second book in the DI Hannah Robbins series is released in Thursday. I have huge book two nerves, but regardless, I’m letting it go, out into the world. And today, I’m providing you with a sneak peek, with chapter one on the blog. It’s currently available for preorder on Amazon but the “look inside” feature isn’t accessible until it’s actually for sale proper. It was a Tuesday when she died. They say the weather reflects these events; rain coming down in droves, slamming into windows like hell unleashed. That’s what he thought when he looked out into the weak afternoon sun. Where was hell? Where was the fury? The relentless beating of nature’s wrath at one given back too soon? Instead the sun leaked silently into their desolate world, bleaching the room in swathes of harsh light, lifting the howling sound that came from his wife as she cradled their daughter in her arms. The nurse closed the door behind her as she left them to their grief. A world they would soon become intimate with. There was a sharp but barely perceptible click as the handle lifted back into place, the only evidence the nurse had even been there. The animal sounds that came from his wife hurt Isaac. It hurt him that their daughter, Em should be subjected, in death, to anything more than the peace she deserved. She’d suffered enough. She hadn’t been ready to die. She’d had a life to live. A life filled with promise. Promises of a future career, husband, even children. Isaac felt the swell of pain inside him grow. A slow steady uprising from the pit of his stomach. The keening of Connie as she rocked with their baby, intensifying the momentum of his own grief. It rose up and stopped his heart. The sun-bleached room gathered its own storm that Tuesday as Isaac’s grief and anger overwhelmed him. He dropped to his knees and clutched himself, wracking out great heaving sobs for all he had just lost. You can preorder Made to be Broken on Amazon UK, Amazon US, and all other Amazon stores. 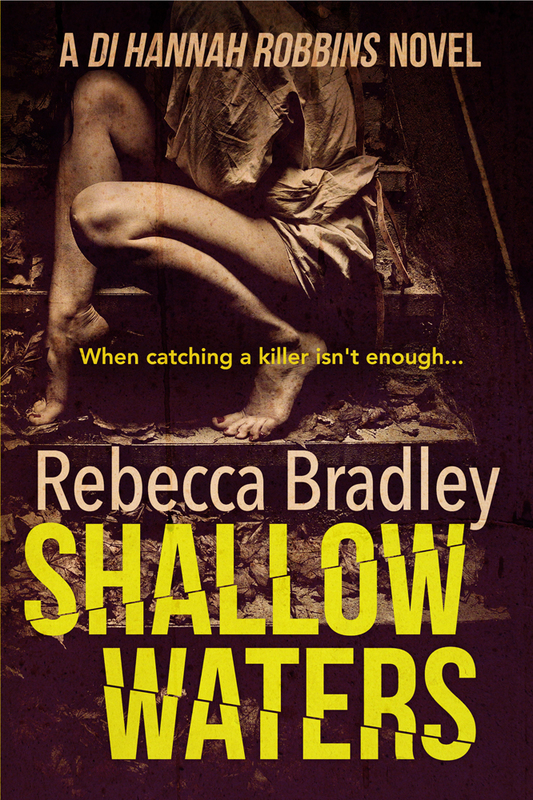 If you haven’t read the first in the series, Shallow Waters, it is currently only 99p UK and $1.40 in the US store. That’s what you call a great opening chapter… I definitely want to read this one! I don’t think you could make that moment more heart-wrenching if you tried! This certainly packs a punch, Rebecca!! You invite the reader to get drawn in right away. I’m afraid to say this, but Made to be Broken sounds even better than the prequel. Wow. What an opening. Powerful. Gets you where it’s guaranteed to hurt.